The area framing the eyes, the periorbital area, is one of the most expressive and important facial areas.1 It is the first facial area on which another rests their gaze when meeting someone for the first time. 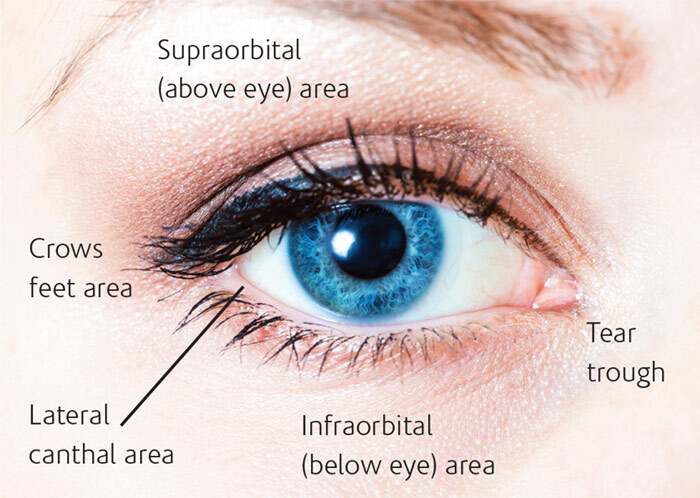 The periorbital area is also among the first on the body to show the signs of aging (see Eye Area Anatomy).2 Skin here is thinner than other areas of the body, and blood vessels are near the surface. In addition, exposure to the sun’s rays is high, and protective mechanisms are less robust. Findings associated with periorbital aging include dark under-eye circles, “bagging” or loss of elasticity, shadowing in the tear trough, crows’ feet or wrinkling lateral to the eye, and loss of opacity (increased translucency) of the under-eye skin.3 Thus, the periorbital area mandates earlier and more aggressive protection to avoid early aging. People of Asian descent tend to develop hyperpigmentation prior to wrinkling as aging occurs. They will be concerned with increasing pigmentation first and with wrinkling in later years compared to Caucasians. Apoptosis is a process of programmed cell death in which damaged cells are eliminated. Encouraging the death of damaged cells through apoptosis acts on important checkpoints for the synthesis of new cells. This can either delay cellular development until DNA repair occurs and the cell is made functional again or can facilitate the death of a cell too damaged to be repaired. Apoptosis is important during any type of cellular damage but is especially so in photodamage. When sunburn from UVB damage occurs, the damaged cells termed “sunburn cells” are actually cells experiencing apoptotic death. Many topical antioxidants assist with normal helpful processes of apoptosis to encourage healing and repair. Since the infraorbital skin is thinner than other areas, blood vessels are nearer the surface here. This makes the bluish coloration of these vessels more noticeable. Thickening of the skin under the eye would make the skin less translucent and cause the underlying vessels to be less obvious. Collagen synthesis and improvements in skin thickness can be encouraged by growth factors. Dehydration in the periorbital area is especially noticeable in skin texture and further accelerates aging. Barrier repair ingredients and bio-identical barrier lipids are essential in eye products. The eye area may be one of the first to show the signs of aging; however, quick action can reduce and prevent signs of aging. Add effective eye treatments to your spa menu and make sure clients are maintaining their eye care with proper at-home eye products. 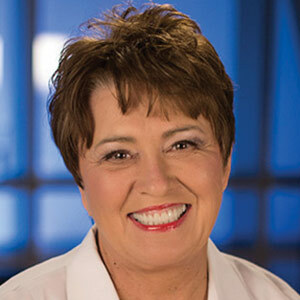 Charlene DeHaven, M.D., is the clinical director of Innovative Skincare. She is board certified in internal and emergency medicine, with specific emphasis in the age management field. She is also a fellow of the American College of Emergency Medicine.